Stay in touch with your travelling companions: new conference call functions "Smart Conference" and "Universal Conference", sharing A2DP music and the phone calls. Lose yourself on the road: FM radio wih RDS, multi-language voice announcements, automatic ON/OFF system. Thin built into the helmet 4 button key pad. The special ergonomic design of the key pad allows an easy use even when wearing biking gloves. • BIKE-TO-BIKE intercom via Bluetooth. One-to-one communication. "Bike to Bike Call" Function. The carbon fibers used to make the X-Lite helmets interfere with the transmission of the Bluetooth radio system. 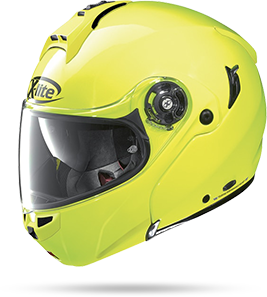 Therefore, the quantity and/or position of the carbon in the helmet caused a reduction in the communication distance that varies depending on the helmet model being used. the reduced distance concerns all the intercom systems available on the market. Built-in or not built-in.